Marketers that have seen notable success enabling their sales counterparts to engage, educate and close deals with prospects in the latter stage of the buyer journey. In addition to being Director of Marketing for PERQ, Muhammad Yasin is a contributor to the MarTech and co-founder of the Indianapolis Agile Marketing Group. His extensive background and expertise in operations, brand awareness, and strategic digital marketing, coupled with his content creation skills and insights, has enabled him to apply an innovative, creative and data-driven approach to the generation and fulfillment of scalable media marketing campaigns. His campaigns consistently achieve significant ROI, conversion and sales increases. Yasin has won multiple communicator awards for B2C and B2B demand generation campaigns and was recognized as a rising star in niche marketing by the Indianapolis Star and as one of Indiana’s Top 25 Tech Builders by TechPoint. 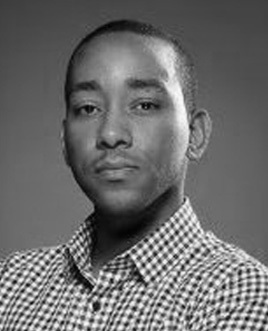 Yasin’s work has also been recognized for excellence in publications such as INC, MSNBC, Huffington Post, VentureBeat, ReadWriteWeb, and Buzzfeed. PERQ’s marketing team, led by Yasin, has created and deployed an innovative and intensive B2B lead generation email marketing program over the last two years with a very specific goal: to create measurable growth of software sales (of the company’s FATWIN Web Engagement Platform) through pre-qualified leads and MQLs, generated for his sales team. The emails created for the “Marketing Qualified Leads” campaign were highly automated, designed to look and feel like personal email communications from individual sales consultants, and focused on delivering meaningful messaging specific to each lead. These emails, although automatic, directly address the prospects’ individual needs, while reflecting exactly where that prospect is in the sales funnel. Yasin built 30-day campaigns to take each sales prospect through a story arc specifically relevant to that prospect’s situation – and to the prospect’s current level of engagement with the email campaign. 866% revenue increase on MQLs from January to June 2017. PERQ has been around for 15 years, and we’ve announced a new SaaS part of the business which is two years old. I’ve been focusing so hard on the growth of the SaaS business, but I’m also responsible for product dev and innovation growth in our legacy business. My team has not only been keeping that running, we’ve been rapidly growing that side of the business. I’m truly proud of how productive we’ve been in this type of environment. One thing that makes us unique is that we switched to agile marketing a while ago and it has allowed us to get a great understanding of what our stakeholders needed, what needs to be done to meet those needs, and also create processes to have continuous back and forth throughout the customer experience. It’s helped tie us into product development, the sales team and as well internally within the marketing team. Innovation is really important to break through the clutter – millions of companies out there – and be different in a sea of companies with the same offers/mentality. Innovation allows you to carve out your own space and connect with prospects in real ways. For example, in our email marketing campaigns, we stay away from the bells and whistles. We found that if we go back to text evites, in natural language, that’s what people respond, increase response rates by 15% after a year of implementation. Another example, we do a lot of trade shows now. We’re being true to ourselves that we’re representing our personalities and we’re not cookie cutter. Auto and real estate are cookie cutter. We’re doing cocktail parties where we hire actors to play zombies as bartenders and doormen. Avg. $11/$1 dollars spent oftentimes after 30 days. We’re running $25 million in revenue that we have to hold onto. However, maintaining that means we also have to be careful about choosing what verticals to target — automotive to furniture retail and so on, for example. More verticals equals more complexity for executing game plans and what procedures look like. My team by itself is made up of eight people and they’ve only been with us for six months or less. Our challenge is to continue to pour fuel on the flames of growth and make sure we’re using agile methodology to as people join our team, we’re creating an environment where they quickly integrate and start driving results as individuals and as part of the team. 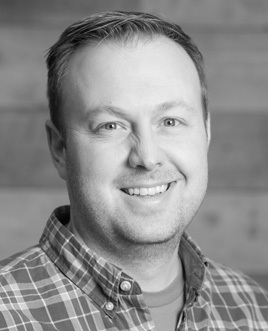 As Director of E-Commerce at Zoro, Kyle Hilbrenner leads all initiatives for onsite search, personalization, merchandising and taxonomy. He has significant expertise in E-commerce, with prior roles in the category at the Brady Corporation and Sears Holdings. He is responsible for implementing two leading personalization engines for Zoro. He enjoys public speaking at industry events and most recently presented at this year’s IRCE. Hilbrenner’s knowledge of not only his customer base but best practices in retail personalization has led to an extremely successful personalization strategy for Zoro’s business. His constant dedication to analyzing customer data, leveraging relational data and an ongoing cycle of A/B testing to validate his assumptions has set him apart as a B2B innovator. Zoro approaches their personalization strategy by focusing on three types of end consumers – the Ready Buyer, the Return Customer and the New Prospect. The Kibo Real-Time Individualization solution enables the company to deploy machine learning and big data into its personalization strategy, allowing for a unique experience tailored for every site visitor. For example, for the Ready Buyer, Zoro uses Kibo’s “Buy it Again” strategy on the homepage to remind the consumer of items they may need to repurchase. Additionally, they want to be sure the purchase path is as frictionless as possible, so they avoid displaying alternative products in the cart. For the Return Customer, the company uses a “Recently Viewed” strategy to encourage the return customer to pick up where they left off. They also dynamically personalize category recommendations so only the most relevant products are displayed to the user. For the New Prospect, Zoro relies heavily on understanding the current context of the customer – their channel of origin, keywords that landed them on the site and real-time browse patterns. From there, the company can segment those new prospects and offer the most individualized product recommendations and promotions. 4x time spent on the site. Transparency. We are an outspoken team that is comfortable voicing our opinions, regardless of our role or who we’re interacting with. Innovation comes from those who have the freedom to think beyond their daily responsibilities and assert their ideas. We encourage this behavior within our team and it advances us as an organization. Everyone is competing for the same slice of pie. Innovation is essential to enable us to differentiate from the competition and be unique with our customers. There’s always a better mouse trap. Traditional approaches will transform; the question is whether you will help lead/define that transformation or follow suit and lag the competition. Tons of stuff! We have redefined our PLA experience and are working to test different page layouts in one of our most successful channels. We are also creating a variant experience on our site to improve customer engagement and drive incremental dollars. Finally, we’re leveraging artificial intelligence to curate unique product descriptions in a scalable fashion. Greg Gendron has more than 20 years of experience in marketing, sales and business development leadership, with a proven track record including P&L responsibility for multiple successful business units at companies ranging from start-up to public. 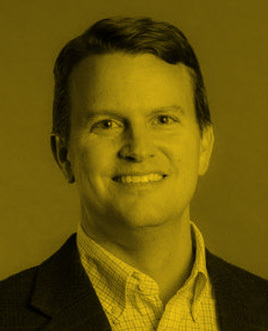 He has led teams responsible for client acquisition and retention, brand, corporate positioning, marketing strategy, demand generation and business development. His peers recognize him as a top producer, creative problem-solver, and versatile team leader. Gendron also serves as President on the board of Milestone Centers Inc., a non-profit serving people with behavioral health and intellectual challenges. Gendron and his team are executing on a three-year digital marketing/big data plan to drive revenue and margin growth on Fishersci.com through personalization, omnichannel engagement and automation. They are delivering on that plan through the deployment of cutting edge technologies, such as Lattice Engines and IBM Interact, and leveraging those platforms through marketing campaigns that focus on high-margin, high-revenue potential opportunities. The objective of the program is to increase sales rep focus on high margin products, reduce customer churn and improve sales productivity. There are four key elements to their program: predictive cross-sell/up-sell campaigns, predictive churn prevention, prioritize sales effort and add context to sales conversations. The Fisher Scientific channel anticipates higher revenue, greater sales productivity and greater customer engagement to help drive more customized sales and marketing messaging to customers. In Q2 of this year, in partnership with sales, we rolled out a new program to predictively identify, score and route leads along with information to help speed sales rep call preparation. The program was widely adopted and well received by the sales team and sales leadership. The Digital Marketing team developed a close partnership with the sales organization in our predictive lead scoring program. Sales and Marketing leadership aligned on a strategy to leverage the new capability. Members of the sales and marketing team formed a “play council”, which met weekly to share sales rep feedback, optimize existing plays, and prioritize new plays. We emphasize a data driven approach to decision making. We incorporated a cross-functional value-measurement team responsible for developing methods to capture data and independently measure the success of our sales and marketing programs.